There are plenty of ways to shape and mold your kids by improving the brain power. Enhance cognitive function, smart and intelligent kid. Instead of focusing on something special or enrolling them into training sessions for developing the cognitive functions, you can concentrate on improving their daily activities. The regular habits that most of us ignore provide a dramatic boost to the brain functions of the kid. 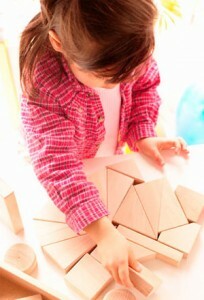 The simple logic behind development of cognitive skills! Children tend to develop their cognitive ability dramatically when they ask questions, think and identify the solutions to problems. The incredible mind of the child grows in a fast pace. Of course, the little geniuses undergo a lot of complex thoughts in their mind. Eagerness, desire to explore everything surrounding them, watching or seeing new things, a new environment, asking too many questions, giving suggestions, etc develop the cognitive ability in children quickly! Improving cognitive skills is a process that involves observing, analyzing or asking question, discovering something new, reflection of what they observe evaluation and solution. To quote an example, let your child enjoy a full moon day in a sea-shore or in the terrace of your home. The child can learn about the waxing and waning of moon, the reasons, about the different looks of the moon, etc. In order to promote cognitive development in children, parents should focus on the following Don’ts! Yes, they are don’ts. Don’t do these things! Don’t prohibit a child to ask questions. The more questions they ask, the more things they learn and brain power increases! Answer them properly if you know the answer, if not promise them to give a suitable reply soon. Don’t say anything rude! For instance, if your daughter asks you why a crow is black in color, what would you say? So be polite to your kid. Don’t over protect your child. Not allowing them to face any problematic circumstances means prohibition of brain growth. Don’t provide ready-made solutions to your child (in academics and personal issues) and allow them to solve the problems on their own. However, it doesn’t mean that you should support or encourage or hint the kids. Don’t pose your opinion on kids. Elders are not 100 percent correct always. Many times kids will have a logical and brilliant solution to many problems. Provide an authentic support to their ideas, thoughts and of course, their feelings. Don’t encourage them when they excel in video games. Digital games won’t support in cognitive development, rather it impacts the health. Don’t show negative ideals or personalities or examples. Always give a positive example. 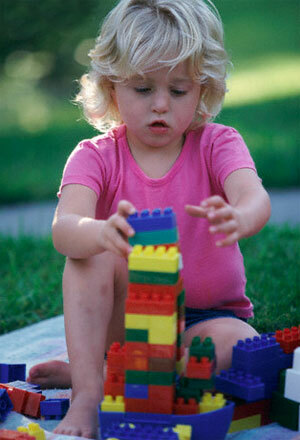 Involve your kids in many activities like clay making, coloring, drawing, etc. These are the simple solutions that will give a full workout session to the kid’s brain and tune them smart!